Download book 1 of the hottest Urban Christian Fiction on the market! Available everywhere and in any format. Just click on one of the following links: Kobo, Nook, Apple, Kindle, and all Other Users. 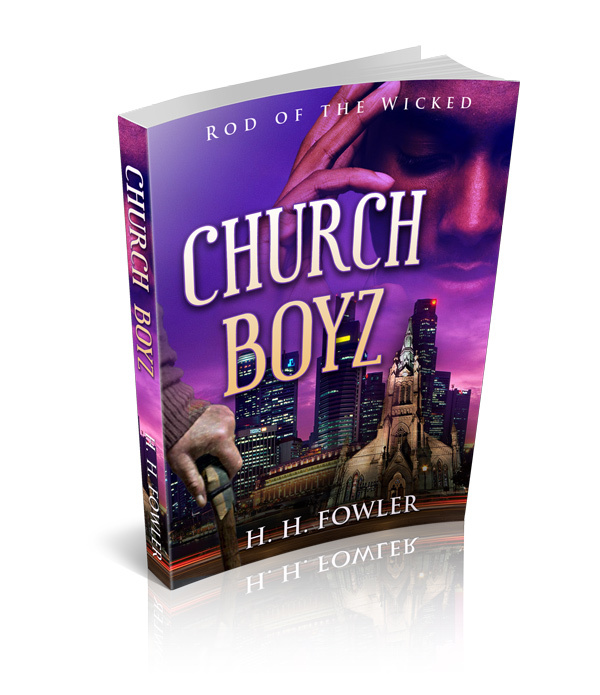 See why others are so excited about the Church Boyz Series. Good series. I read them all so quickly that I wish the story was not over…true sign of good writing.. It looks like all of us read your books faster than you can write them! But, that is the sign of an excellent writer! So in that light you get no sympathy from me!! Lol! I love that we are PUSHING you to write more books for us to enjoy. Your books are that good! Listen to this one from me (your crazy loyal Fan); you told us the next book won’t be out until August right? So why am I checking Amazon Kindle each day all day for it?! You told me AUGUST!! Now if that is not a sign of a great writer…! We all love you Mr. Fowler! Wow Julia! You are pushing me to write indeed…with newly born twins, It’s challenging, but every spare moment I have I’m typing away on the computer…August is looking good, by the way…any sooner and it would be a miracle!…lol. Congratulations on your new-born precious gifts from God! I truly understand about TIME! BUT…I believe in MIRACLES!! Lol! Your Loyal Fan…Forever and a Day!! i have read both church boyz and girls, and enjoyed both of them. But i am on disablity and cant afford too buy them. i am waitting for the free books. My local library dont have any books by the author. I just read your post to Mr. Fowler I am disappointed that your library does not carry his books. please ask them to do so, almost always they will. In the meantime I would be more than happy to purchase Mr. Fowlers books for you. Just tell me what you need. Love & Hugs, with Gods blessings upon you! My aunt and I just finished reading the Church Boyz series. My aunt couldn’t read it because she can’t remember her kindle password so she had to wait for me with much anticipation to tell her what was going on with the Pastor, his wife and everyone else. I am a Brandon resident who could visualize all that was written all the way to the chase sceen. Thanks for a great read as your series will bw the first that our salon book club will read. Keep them coming and we will keep reading. Wow, thank you Michelle and Aunt Puddin! Your words encouraged me today. Huge appreciation for your support, for without readers like you, I wouldn’t get very far. Word of mouth is precious to us who write and I’m thrilled to know that by book will be selected by your reading club. Blessings to you and all that belongs to you! This series was absolutely amazing, I loved it, kept me on the edge of my seat. Alot of surprising and shocking moments. I started Church Girlz and enjoying it the same thank you for your writing. Hi Riri, I’m excited to know that you are enjoying my work! It is such an encouragement to me. Thank you and huge appreciation for you support! I just read the first book of Church Boyz. The series was recommended to me by a coworker. I’m about to start the second book. I can’t wait to find out what is going to happened with the characters. I will be encouraging my friends to get the series. It appears that I have a lot of catching up to do with your other books. I really enjoyed reading the Church Boyz series. I was really hoping that that eighteen month period would be covered in another book. It left some questions that I was really hoping would be answered. Previous Previous post: Church Boyz Series now on Smashwords! Next Next post: New Book Release – Church Gurlz 1 & 2!